We are pleased to invite you to the 2019 edition of CHORUS Seoul. 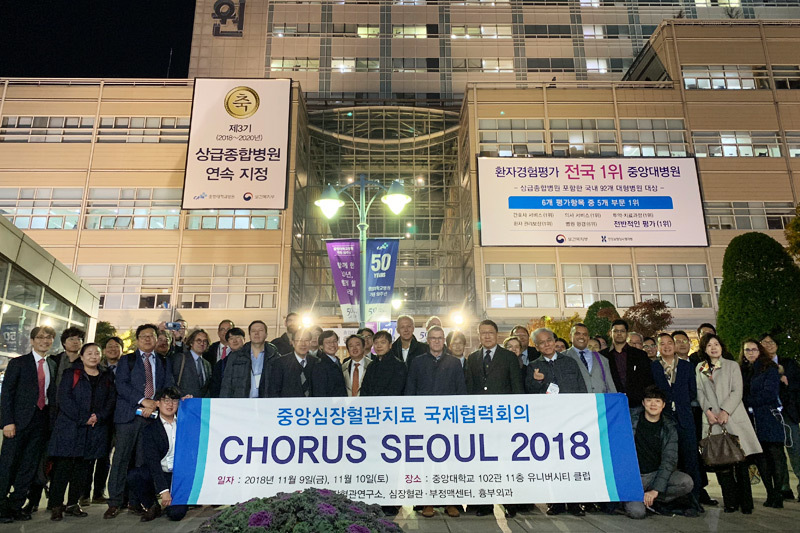 CHORUS SEOUL 2018 gave you the chance to be part of hot discussions and to enhance your knowledge through lectures such as TAVR vs SAVR, Multivessel disease, Structural intervention update, Hypertrophic Cardiomyopathy Summit, Infective endocarditis, ECMO and LVAD, Endovascular Advances, and more. This year again, we will elaborate a program that reflects the very needed collaboration between each member of the Heart Team. Indeed, we thrive to improve patient care through a multidisciplinary approach, and we hope you will join us in this quest during CHORUS Seoul 2019. Thank you for your constant support, and we hope to see you soon. Submission : To be announced.